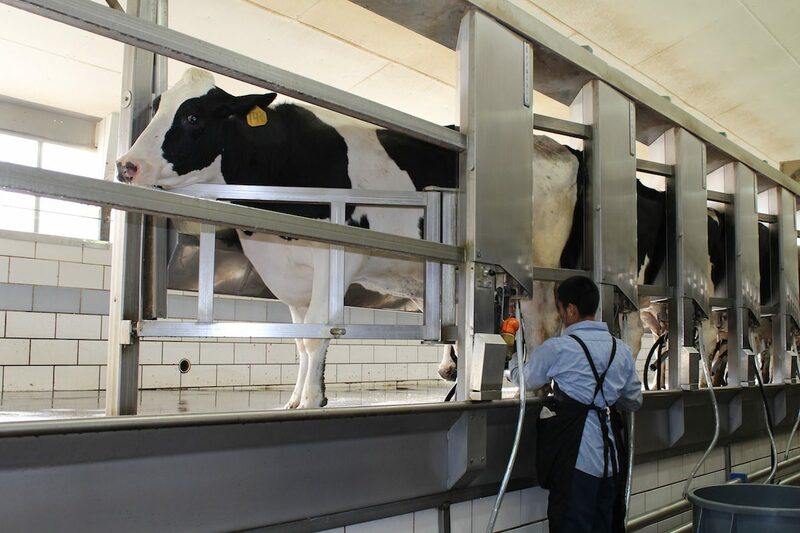 Home Tags Posts tagged with "dairy cattle"
The amount and composition of milk produced by dairy cows appear to be more regulated by internal, annual biological rhythms than by environmental factors. Good feed cost control does not necessarily mean having the lowest feed cost. Learn more about optimizing your feed investment. Attention to dry cow management results in healthier cows, and the potential for increased production and economic gain. Logan Acres Farm, Farmdale, Ohio, took home the Supreme Champion of Champions award at this year's Columbiana County Fair dairy show. The Western Pennsylvania Red & White Holstein show was held July 21 at the Lawrence County Fairgrounds. Jeff Brown judged 36 head of cattle. Is it cheaper to raise calves using automated or individual feeding? Find out which management practices can cut the costs of raising replacement heifers. On-farm culture is a fast, inexpensive way to diagnose the cause of mastitis in order to make the appropriate treatment or management decisions. The world’s first precision-bred naturally hornless cow has been born. Researchers are focusing on improving health and eliminating horns in dairy cattle. In May, we celebrate Mother's Day but did we take time to consider how grateful we should be to the four-legged moms, the cows that produce milk for us.